SOUTH BEND, Indiana (December 11, 2015) – Leadership groups in Elkhart, Marshall and St. Joseph counties, collectively known as The Regional Cities of Northern Indiana, are planning “Watch” events open to the public at three digitally connected locations Tuesday afternoon as information about $84 million in economic development grants is shared statewide via “live” streaming from Indianapolis. The events, while physically hosted in Elkhart, Marshall and St. Joseph counties, will be cross-linked via Twitter’s Periscope application over the Internet. Each ‘Watch’ event is scheduled to start between 12:30 and 1 p.m. when the “live” web feed from Indianapolis begins. At 1 p.m. the Strategic Review Committee will go “live” on the Internet. At some point during the meeting, their recommendations will be made public. The IEDC board is then expected to vote on the committee’s recommendations. Once the voting takes place and the regional grants are made official, Governor Pence will announce them in a live press conference from the same location. The press conference is currently scheduled for around 2:30 p.m. In Marshall County, the event will be at Swan Lake Resort, 5203 Plymouth Laporte Trail, Plymouth. The Elkhart County event will be in the Crystal Ballroom of the Lerner Theatre at 410 S. Main St., in downtown Elkhart. In St. Joseph County, the event will be at Union Station Technology Center in the Renaissance District, 506 W South St. in downtown South Bend. Some, if not all locations, will offer light refreshments. To see any of the Periscope video feeds from the three “Watch” events on Tuesday, visit the Regional Cities of Northern Indiana Facebook page. 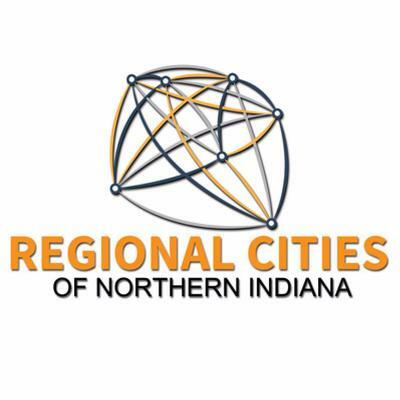 Feeds will also be linked to the Regional Cities of Northern Indiana Twitter page. 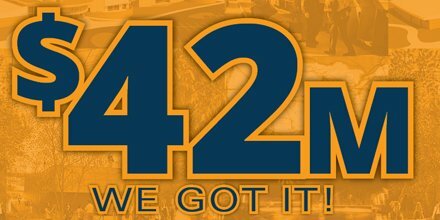 Regional Cities of Northern Indiana serves over half a million people in 22 interconnected cities and towns in Elkhart, Marshall and St. Joseph counties. The group consists of and leverages the vast experience and services of Northern Indiana’s leading business, academic, philanthropic and government leaders to develop transformational economic development projects and strategic initiatives that will improve quality of life and spur population growth. 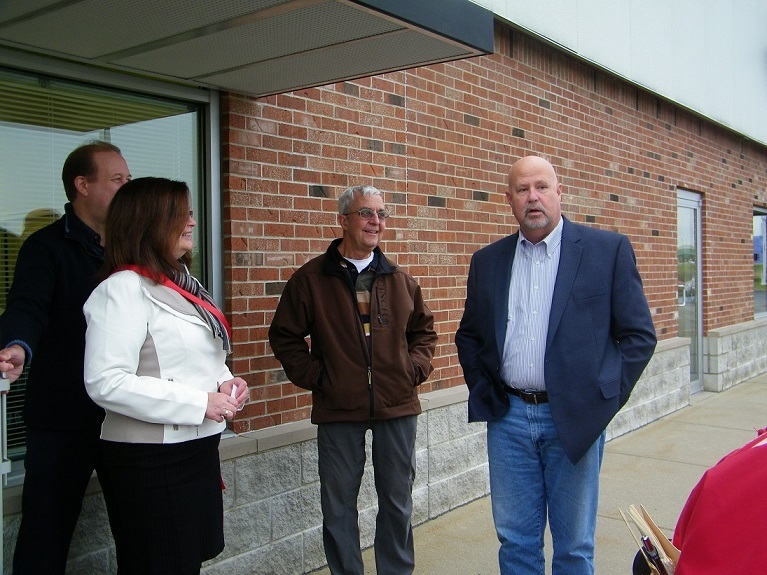 The Regional Development Authority (RDA), comprised of a five-member board representing all three counties, is guided by the strategic plan developed by Regional Cities of Northern Indiana as it oversees projects of regional importance. 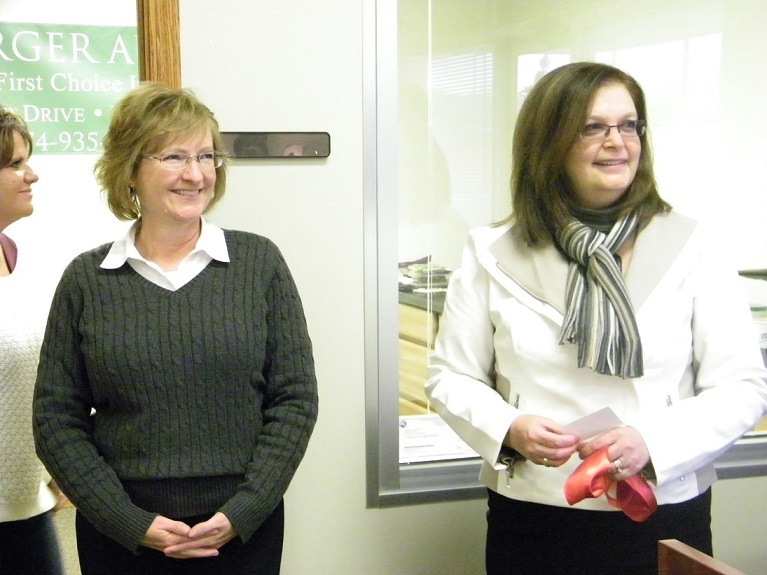 Rebecca Berger (right) and her assistant Laura Chavez (left). Becky’s Open House was Friday. She had a lot of friends show up. 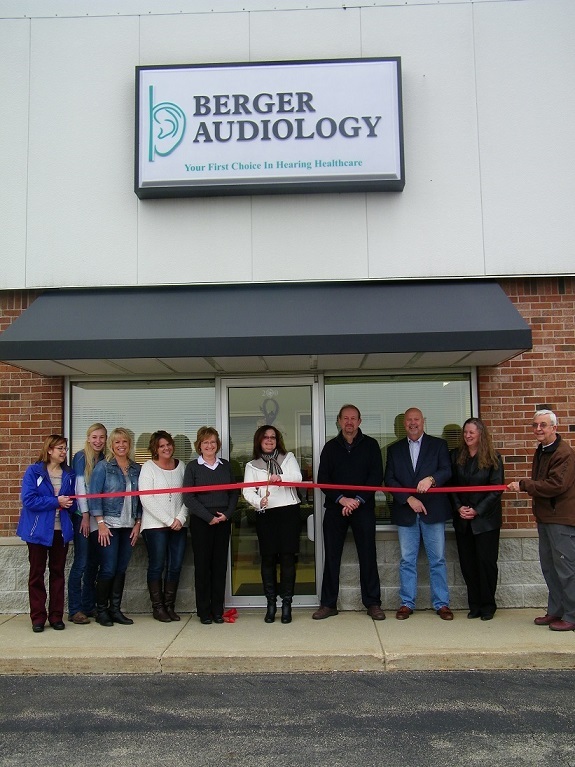 Mayor Senter was there for the Ribbon Cutting. The Pilot News was there and took the above picture which appeared in the weekend addition of the Pilot. Becky was pleased that some of the Doctors that originally hired her came to wish her well. Her office wasn’t the same after they left. Thanks to everyone that showed up to support her! 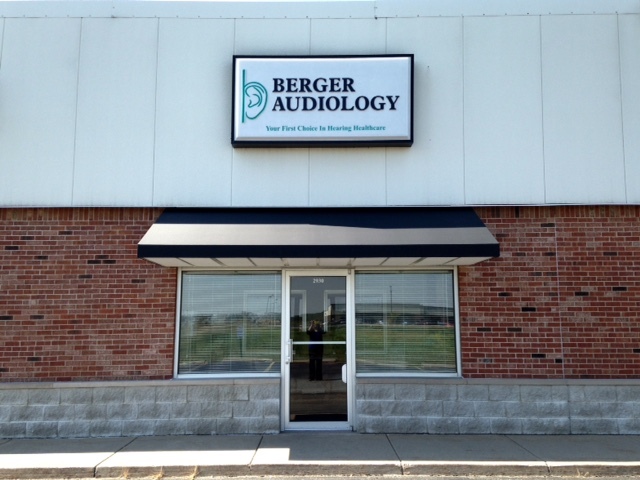 Vanadco Signs installed a new awning at Berger Audiology on Thursday. (And just in time for the rain today!) They did a nice job for Becky. It’s an aesthetic improvement that makes the office look more professional. 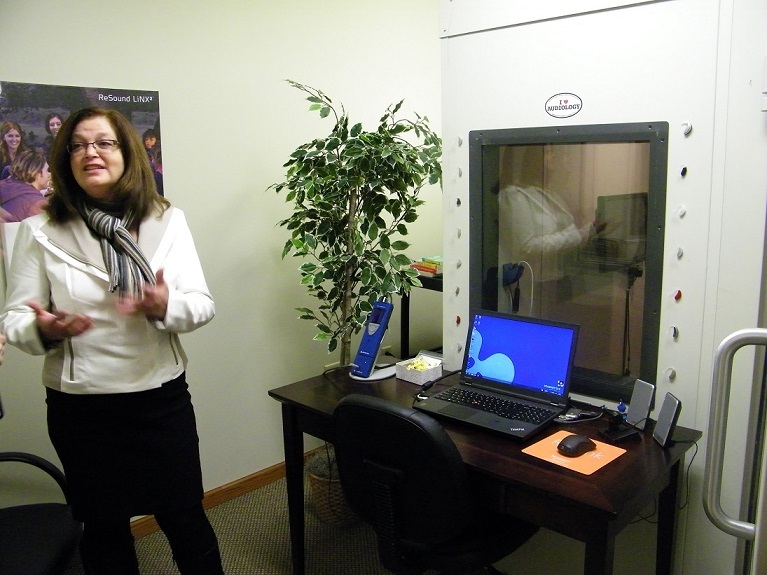 Becky says she thinks it has lowered the temperature in the waiting area by about 10 degrees, plus she is able to open the blinds sooner in the morning. 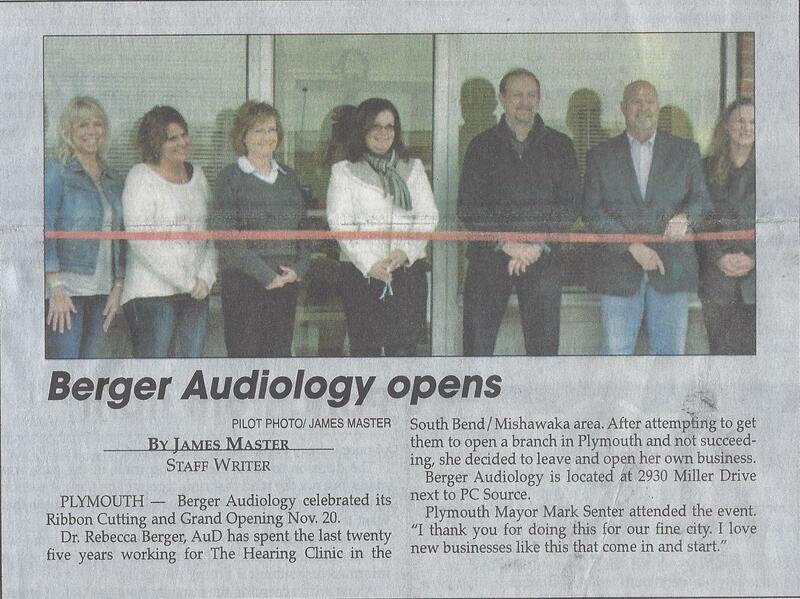 I think that concludes the building improvements and Dr. Rebecca Berger’s office is officially complete. Keep an eye out for a Ribbon Cutting in the near future. If you want to see the before picture, you can find that in a previous post here.